Internalize the values necessary to excel in college, maximize one’s impact in the world, and fulfill the purpose for which each child was created. Our Mission: Phoenix Collegiate Academy prepares kindergarten to twelfth grade students to succeed in college and be leaders in our community. Our Mission: Champion Schools is dedicated to fostering academic excellence through the integration of accelerated content rich curriculum, using powerful and diverse instructional techniques encouraging critical thinking and the development of problem-solving skills. We will also use the community as a laboratory to construct knowledge though exploration and discovery. Vision and Purpose: Through integrated learning environments immersed in Science, Technology, Engineering, and Math (STEM), SySTEM Phoenix will prepare students to become the innovative leaders of tomorrow. We Form Intellectual, Virtuous, and Loving Servant Leaders who form other leaders, who build spirit in their families and communities. Mission: Western School of Science and Technology: A Challenge Foundation Academy exists to transform Maryvale by improving low-income west Phoenix students’ opportunities for advancement in the global technological economy by providing needed preparation for the academic rigors of college graduation leading to career success. Maryvale Prep prepares its students for college, a virtuous life, and leadership within their community. 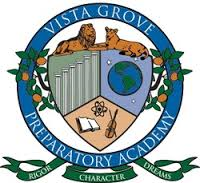 The mission of Vista Grove Preparatory Academy is to increase academic success for all children through the employment of best practices and quality alternative practices. 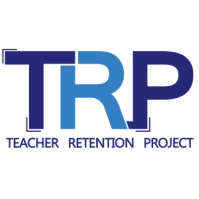 We focus these practices to meet the needs of all children, including extreme academic challenges and/or socio-economic challenges. Our quality school program is a truly alternative commitment so that all students develop a love for learning in pursuit of their dreams.